CARFAX 1-Owner, ONLY 19,210 Miles! Moonroof, Navigation, Heated Leather Seats, DVD Entertainment System, Aluminum Wheels CLICK NOW!KEY FEATURES INCLUDELeather Seats, DVD, Sunroof, Quad Bucket Seats, Power Liftgate, Rear Air, Heated Driver Seat, Heated Rear Seat, Cooled Driver Seat, Back-Up Camera, Running Boards, Premium Sound System, Satellite Radio, Onboard Communications System, Trailer Hitch Keyless Entry, Remote Trunk Release, Privacy Glass, Child Safety Locks, Steering Wheel Controls. OPTION PACKAGESTRANSMISSION, 10-SPEED AUTOMATIC electronically controlled with overdrive, tow/haul mode and tap up/tap down shifting (STD), ENGINE, 6.2L V8 WITH ACTIVE FUEL MANAGEMENT Spark Ignition Direct Injection (SIDI) and Variable Valve Timing (VVT), includes aluminum block construction (420 hp [313.2 kW] @ 5600 rpm, 460 lb-ft of torque [621 N-m] @ 4100 rpm) (STD), CADILLAC USER EXPERIENCE WITH EMBEDDED NAVIGATION AM/FM stereo with 8" diagonal color information display featuring touch response, haptic feedback, gesture recognition, Natural Voice Recognition, Phone Integration for Apple CarPlay and Android Auto capability for compatible phone, Collection and Teen Driver. Five USB ports, including one in the articulating storage door/bin and auxiliary audio port (STD). Cadillac Premium Luxury with Black Raven exterior and Jet Black interior features a 8 Cylinder Engine with 420 HP at 5600 RPM*. EXPERTS REPORT"The 6.2-liter V8 SHOP WITH CONFIDENCECARFAX 1-Owner VISIT US TODAYNorth Park Volkswagen of Dominion is located at 21315 West Interstate 10, just east of Friedrich Park. Volkswagen is widely recognized for quality, reliability, value, and an award-winning commitment to customer satisfaction. Our state of the art dealership has the largest VW inventory in Central Texas. Visit us at www.northparkvw.com to schedule an appointment with one of our VW Experts. Please confirm the accuracy of the included equipment by calling us prior to purchase. If you're in the market for a new or new-to-you car, it's time to visit North Park Volkswagen in San Antonio, TX. With impressive inventories of new, used and certified pre-owned Volkswagen vehicles, there's something for everyone on our lot. Visit our Volkswagen dealership near Boerne, TX, to find the used Used 2018 Cadillac Escalade vehicle of your dreams! Whether you want a zippy little sedan like the Volkswagen Jetta or are more interested in an SUV like the VW Tiguan, our helpful and friendly sales staff will work with you to narrow down your options and select a vehicle that hits every point on your checklist. 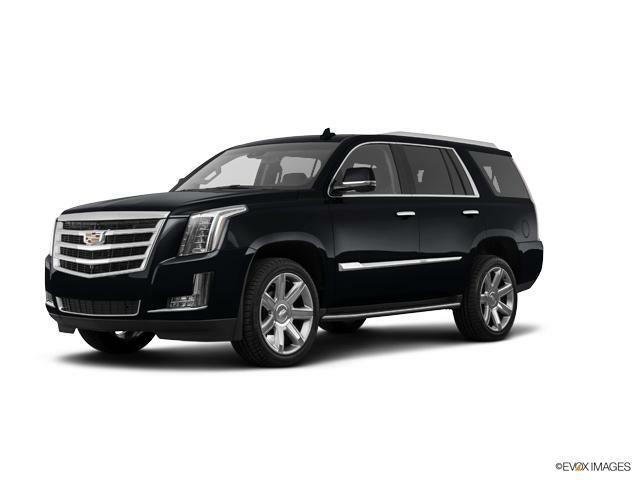 Don't hesitate to reach out at any time to learn more about the used Used 2018 Cadillac Escalade vehicles we have for sale here in San Antonio, or the specials we're currently offering.